The rumors were true, Daytona USA is making a return to arcades everywhere as SEGA has announced that Daytona 3 Championship USA will be coming soon, SEGA announced. The new sequel will feature three new tracks, including one on the recently renovated Daytona International Speedway, and the original three courses have been “remastered for the modern era.” There will also include new cars and game modes. “This is a game changer. This is a premium game that delivers on quality, player experience and operator features that sets a very high bar for arcade video racing games. Importantly we have based it on the original game engine that gave us the amazing ‘AI’ and ‘catch up’ feeling that we all grew to love” said Patrick Michael, SEGA Arcades’ head of local R&D. “At SEGA, we have always been passionate about developing the best arcade racing games, it’s part of our DNA, so to have the opportunity to work on this title that truly captures the spirit of the racing scene in Daytona is nothing short of an honour.” said SEGA’s CEO Paul Williams. 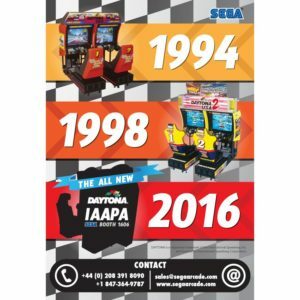 Daytona 3 Championship USA will be shown at IAAPA from Nov. 15-18 in Orlando. 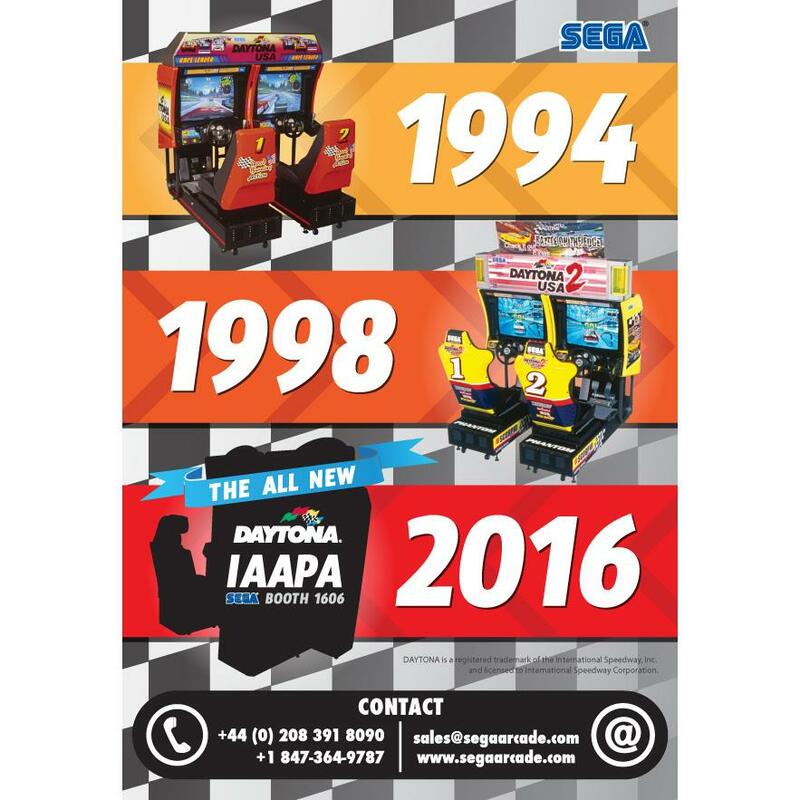 Come and visit us at IAAPA on stand 1606 to experience Daytona 3 Championship USA for yourself. To Pre-order speak to Sega on +44 (0)208 391 8090 or +1 (847) 364-9787 or email on sales@segaarcade.com, or contact your local Authorized Sega Distributor.